Last week, we discussed why your brand’s Google My Business listing is a critical part of your SEO strategy. Google My Business is a completely free way for your business to enhance the way it will appear in search results on Google and to make an ideal first impression on potential customers by providing helpful information about your brand. Having a well-completed Google My Business listing also increases your chances of having Google rank your website highly on a search results page. 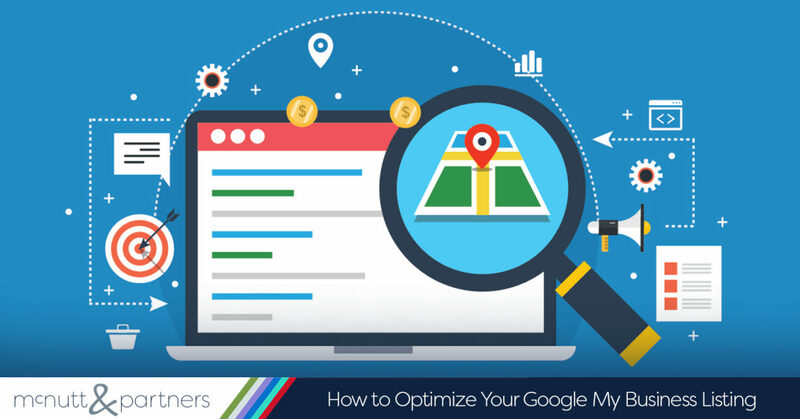 Here, we’ll look at how to optimize your Google My Business listing so that you can make sure it is working to your full advantage. Any business with a legitimate brick-and-mortar location is eligible to create a GMB listing. And if your business has multiple locations, you can create a listing for each of those locations. But what if you operate out of your home? Don’t worry—you do not have to use your personal address for a GMB listing. If you serve customers in a particular geographic area, you can list yourself as a “Service Area Business,” and you’ll still be eligible for a GMB listing. Claim your listing. This first thing you need to do in order to optimize your Google My Business listing is to claim the business as yours. The easiest way to do this is to type your business’ name into a Google search. You should see a panel on the right-hand side of the page that includes your business’ name with a link to the question, “Own this business?” Click the link to get started in the claiming and verification process. Next, you’ll fill out relevant business information. Choose an accurate business category. The business category you choose can have a significant effect on how well you optimize your Google My Business listing. There are several thousand categories that you can choose from to assign to your business. Start by typing in a keyword that describes your business, and Google will suggest appropriate choices. You can and should choose multiple categories to describe your business, and try to be as specific as possible. This will help you appear in a wider range of searches. Complete your profile. Next, you should fill in primary business information and get your profile as close to 100 percent as possible. Start with name, address and phone number. Seems simple enough, right? It is. This information should be straightforward and should accurately represent your business. Use the same address and phone number that appear on your website. Check the map displayed next to your address and make sure the pin accurately represents your location. In this part of the process, you will also add your website, which doesn’t necessarily have to take users to your homepage. Some business opt to include a link to their location pages instead. Verify your listing. After you have entered primary business information, you will be prompted to enter a PIN to verify your GMB listing. If Google recognizes your address and phone number, it will call and ask you to enter a given PIN at that time. If it does not, Google will mail you a hard-copy postcard within a week. The postcard will include instructions on how to verify your listing with a given PIN. Add relevant photos. Here’s where the chance to optimize your Google My Business listing really comes into play. Photos are often overlooked by businesses establishing their GMB listings. Google users rely heavily on photos when making their decisions as to whether they should solicit a particular business. Your photos should not only represent various aspects of your business (the interior and exterior, your products and services, etc. ), but the higher the quality and the more professional the photos are, the better. Include business hours. Adding your business hours is another important way to optimize your Google My Business Listing. Not only will this be a clearly-displayed component of your listing giving it added credibility, but it is also a piece of information that a number of searchers are looking for when they are browsing for your business. Google even allows you to add specific hours for holidays and special events. The idea is to make things as easy for the customer or potential customer as possible. Monitor reviews. As part of your GMB listing, users will have the opportunity to leave reviews about their interactions with your business. Be sure to monitor these reviews regularly and respond back to reviews, whether they are positive or negative. If a review is positive, thank the user for the feedback and let him or her know you are glad that their experience was a good one. If a review is negative, address the issue, or invite him or her to call you to address the issue offline. Also, look for spam reviews, and flag them as “inappropriate” or “off topic” when necessary. Take advantage of GMB Insights. Google My Business offers free analytics that can give you a feel for how your brand’s followers are interacting with your listing. Included in these analytics are how many times your listing appears in a search, the number of clicks to your website, how many times driving directions were requested and the number of phone calls made from your listing. You will also be able to determine how many searchers looked for your business directly vs. how many times your business appeared in a generic search for businesses in your category. If you notice that your listing is lacking in any one particular area, then review the above ways to make sure it is optimized. Keep your data up to date. As time goes on, things change, and so does your business. When changes to your business happen, don’t neglect your Google My Business listing. Make sure your listing always includes the most up-to-date information about your business. The simple steps required to optimize your Google My Business listing are worth the time and effort to take advantage of a free tool designed by the very entity that is dictating your search ranking. Need help optimizing your Google My Business listing? The McNutt & Partners team can help! Call us today at 334-521-1010 or visit our contact page.